There’s no better meat shop in Calgary than Calgary Meats. With our custom butchering, knowledgeable staff and clean working environments, we know you’ll find everything you’re looking for. For over 40 years Calgary Meats has been serving residential and commercial customers with the finest selections of beef, chicken, pork, sausage, and our world famous signature COWTOWN beef jerky. 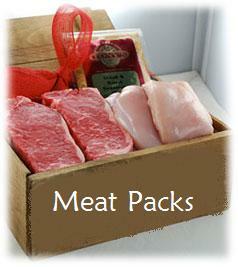 Our daily mission is to provide you with the highest quality meats and customer service that is second to none. We give you competitive pricing and quick, efficient shopping. At Calgary Meats we have the best location and you’ll appreciate the friendly service and easy access to our store. When you choose to shop at Calgary Meats you’re shopping with a company that cares about the health of our customers, the quality of meat and your personal happiness. Give us a call or stop by today and experience our professional service.